How do you serve your community? Volunteer and community service groups in the Richmond area offer a variety of meaningful ways to get involved and help make a difference. But you may not know that many of your fellow Reynolds employees are involved in these noteworthy volunteer efforts. In an effort to encourage more Reynolds employees to get involved in volunteering and to highlight some of the valuable community service efforts that our employees are already engaged in, the Reynolds LEADS team has interviewed several Reynolds employees about their experience as volunteers in the local community. Over the next four Reynolds Wrap-Up publications we hope that hearing the stories of these colleagues and the tremendous joy each one gets from their volunteer efforts will inspire others to get involved in one of the many community service opportunities in Richmond! You may know other Reynolds employees who are involved in noteworthy volunteer projects! Consider nominating a deserving Reynolds team member for the Community Impact award. Nominations are due by March 4th. Q: Describe your volunteer efforts. What groups do you serve and what are their missions? KL: I sit on the WCVE Community Idea Stations Science Matters Leadership Team. The mission of this group is to use the communication tools of Central Virginia’s PBS and NPR stations to inspire viewers and listeners to value science. I am part of the Leadership Team, along with WCVE representatives, math and science college professors, K-12 educators, and other science professionals from the region. We offer perspectives and opinions on how best to reach our diverse audience, and provide suggestions for general Science Matters content. I am also the Pack Secretary for my sons’ Cub Scout group, and my duties include taking minutes for monthly meetings, completing administrative paperwork for new scouts, and writing letters and thank you notes. There are 70 scouts in this pack! Q: How did you get involved in volunteering? KL: I was first approached by the Science Matters Project Manager in 2014 to participate in the Science Matters Explore the Outdoors program. 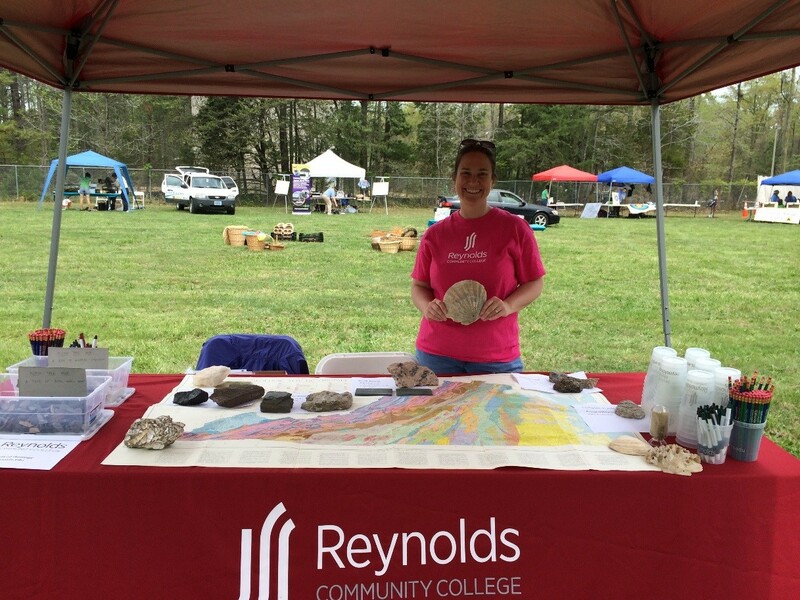 This is a one-day event held in the spring during which over 40 local vendors and organizations set up exhibits on the WCVE campus to encourage families to get outside and see what our region has to offer. I loved the idea of it and created an exhibit of the Geology of Virginia, with a display of rocks, fossils, and maps from around the state. Attendance at the event topped 4000 individuals in the last year. Scouting is a family activity—my husband is Den Leader and my two sons are scouts; everybody participates. We enjoy fun activities like museum sleep-overs. KL: I represented Reynolds at the Explore the Outdoors event in spring of 2014, and soon after I was invited to join the Science Matters Leadership Team. We [filmed] a video piece for fossil hunting in Virginia in summer of 2015, [which also showed up on] PBS kids cartoons and on NPR! The audience for this video was families with children, so my boys were involved too. The time involved is variable…the bi-annual meetings are about 2 hours, the Explore the Outdoors day is a full-day commitment, but otherwise, it’s not too much time. KL: Participation in the Explore the Outdoors day has allowed me to make contacts in the Marketing Department here at Reynolds. 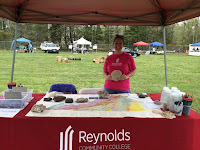 I have also gotten lots of great feedback—“hey, I heard you on the radio/saw you on TV!”—which I hope has been helping to advertise the geology program at Reynolds. Reynolds students Clarissa Dery and Kristin Schaefer will be sharing their experiences and views of what it is like to be a student at Reynolds over the next few months. Clarissa and Kristin come from very different backgrounds but have bonded as friends at Reynolds. This is the first segment of the students’ blogs - we hope you enjoy reading about what brought them to Reynolds, their involvement at the college and what they each hope to accomplish once leaving Reynolds. 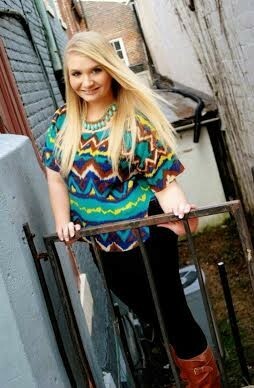 My name is Clarissa Dery and this is my second year at Reynolds Community College. I am a Social Science major transferring to Virginia Commonwealth University next semester. I consider myself a coffee connoisseur and an avid seeker of wanderlust and adventure. My experience at Reynolds has truly been a wonderful journey as I explore my passions and interests. My first day at Reynolds I had no idea what I wanted to do with my life or what I wanted to major in, but the encouraging faculty has helped me carve out a path to follow. Now, I am currently serving as Secretary of Student Senate, a member of Phi Theta Kappa National Honor Society, and a member of the JSR Lead program. Through these opportunities, I have gained valuable connections, experiences, and skills that I will use every day in my professional career. My experience at Reynolds was more than just a classroom setting; I was able to gain knowledge through attending events such as the Virginia General Assembly and the VCCS Student Leadership Conference. I was able to utilize many resources and opportunities that Reynolds has to offer. The greatest advice I can give to students is to use your resources and expand your college experience beyond the classroom. In these past two years, I have accomplished so much and none of it would be possible without taking that first step. “You’re going to college.” Is what my parents had been telling me from the time I first started school. There was no debating, arguing, or changing- I was going to college- a four year college to be exact. Both my parents and my older sister had gone to four-year universities and I was expected to do the same; however, when it came time for me to apply I had no idea where I wanted to go and what I wanted to study. My advisor at Tucker High School took over at this point, helping me apply to numerous universities in Virginia, and Reynolds Community College- a college I never expected to find myself attending. Starting in August of 2014 I found myself still living at home, driving to school, and going to Reynolds. It was the best decision I ever made. Reynolds has given me so many opportunities and through Reynolds I have been able to discover what I really like and I have a better understanding of what I want to do with my life after I transfer. If it had not been for my advisor at Tucker High School, I would not be where I am today. 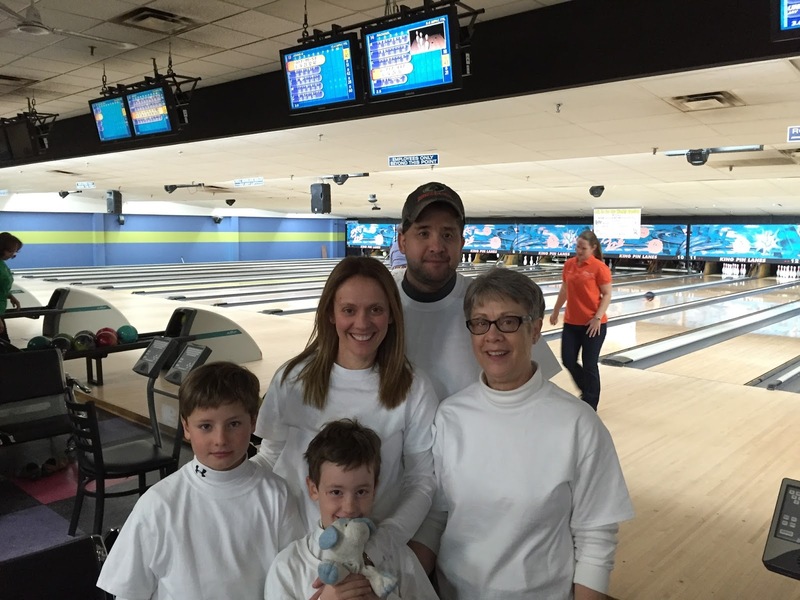 The 13th Annual Reynolds Scholarship Bowl took place on Saturday, February 6th. The turnout of supporters ready to bowl on an early Saturday morning was amazing, as 65 bowlers raised a total of $1,467.50 towards the Classified Council Scholarship. Over the last 13 years, the event has raised more than $14,100. It’s never too early to start practicing for next year! Reynolds "Around the World Through Books"